collection of exercises for the very advanced cellist. 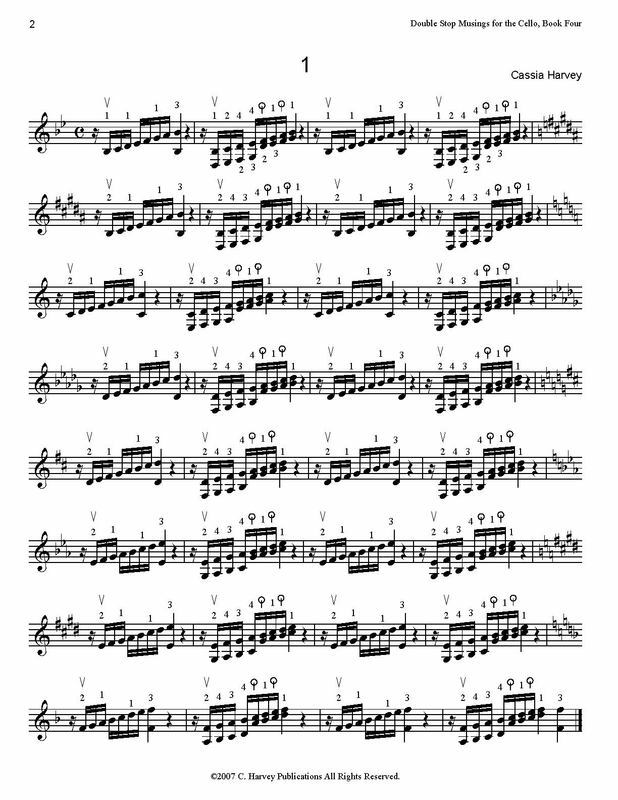 The book develops a disciplined left hand and a sense of fingerboard security using studies in double-stop thirds, sixths, octaves, and tenths. This book can be used to build left-hand strength and improve general tone, and was designed to prepare the cellist for the difficulties of double-stop-playing in advanced cello literature. Daily training with this book can raise the cellist's level of playing so that double-stop passages in pieces such as Dvorak's Cello Concerto and Tchaikovsky's Rococo Variations can be more easily mastered. Thirds in Thumb Position for the Cello, Books One and Two, could be studied along with this book.